I began clinical practice in 1990. Trained at the Ontario Chiropody Training program. I am a founding and managing partner at York Rehab. I continue to be the Clinical Chiropodist at Southlake Regional Health Centre since 1990. I strive for clinical excellence and have participated in the profession as Clinical Coordinator of the Ontario Chiropody Training Program, director of the Ontario Society of Chiropodists and Clinical Investigator with the College of Chiropodist of Ontario. 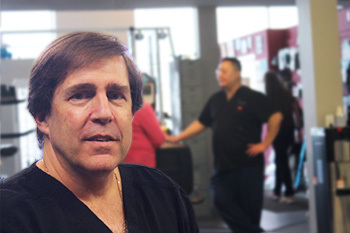 Specializing in foot problems, my main areas of focus include orthotics, surgery and footcare. As a jogger, I am attuned to the problems of the runner. Following biomechanical assessment, I can advise on footwear choices and whether orthotics are needed. I love being in and on the water – especially snorkeling in Georgian Bay.